I am sharing a quick post. A simple card I made for CASOLOGY. 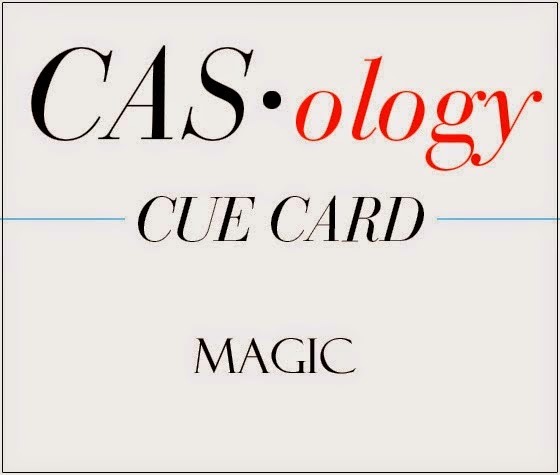 I didn't realize that the deadline is in few hours, this weeks cue word is magic. For me magic is all about Disney fairies, specially Tinkerbell. 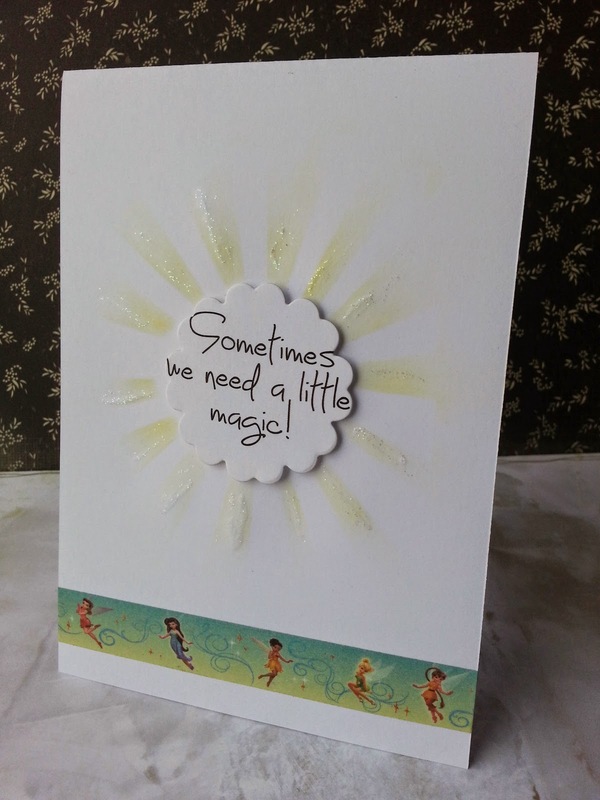 I just love her, I have a washi tape designed after the Tinkerbell fairies, so I used that on my card. I sponged underneath the sentiment panel, and added some translucent glitter to give a pixie feel to the card. Kept it real simple. Fabulous! Love the way you mounted the sentiment and those glittery rays are awesome! Thanks for playing along with CASology this week! Rahmat, what sweet washi tape! Yes, magic makes me think of Disney princesses and fairies so this washi tape is perfect for the occasion! 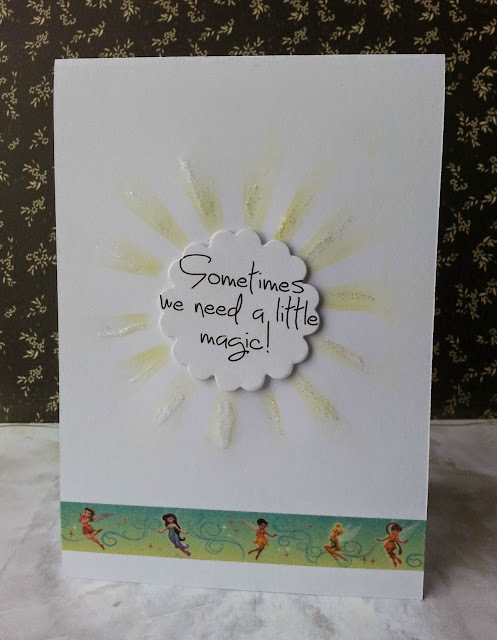 I love the sentiment popped up and the glittery rays behind it are cool! Thanks for joining us at CASology!